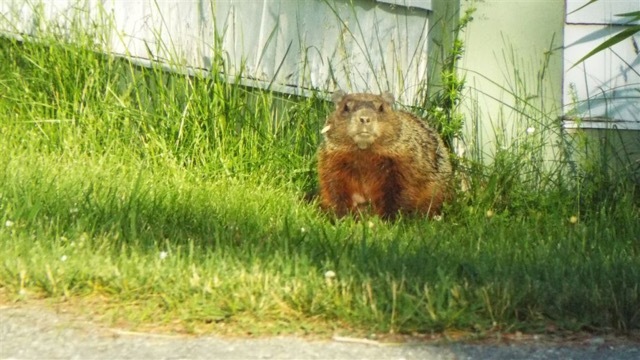 Also known as woodchucks, groundhogs have strong, short limbs made for digging. They live in underground holes and are never far from home. This one is lucky to have found a home at a popular nature center. 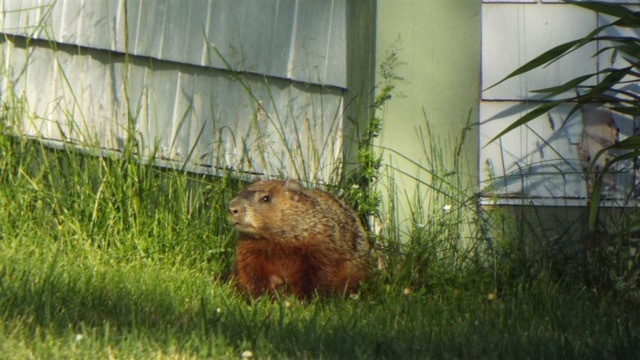 Groundhogs have a short life expectancy in the wild (2 to 3 years average). They are food for coyote, fox, bobcats, eagles, and dogs. Their number one predator is humans, who may not like to see their home-grown vegetables eaten by a freeloader.